In the era of big studios and even bigger stars, still photography was a burgeoning art. The people behind the lens, and in front of it, were still learning how to capture the feel of a film and the essence of a character in a single shot. Hollywood Movie Stills tells the story of how those early film stars were shaped by the studios that promoted them and the photographers who captured their images. There are beautiful pictures of iconic stars like Greta Garbo, Lillian Gish and Humphrey Bogart on the sets of their most beloved films mixed with scenes of their personal lives, sound stages, and the film crews. But this isn’t solely a book of pictures, something to look at but not read, but rather a book that tells a story. Starting with silent films, you’ll learn how photographers attempted to capture stars in still shots, what lighting and angles and clothing helped them create the image that studios and the public wanted to see. The femininity of an actress was played up in an entirely different way in those early images. As the public’s tastes changed, so did the images of the stars and it was the job of the still photographer to find a way to cater to those changing tastes. Often working with the stars themselves to present images that showed them in only the way they wanted to be seen, still photography gives us a lasting look at Hollywood in the Golden Age. 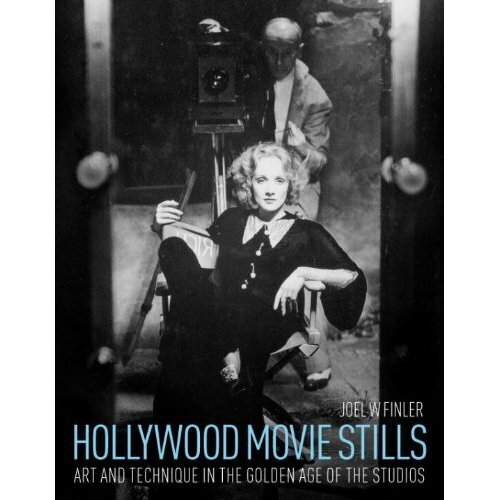 Hollywood Movie Stills ($24.95) is a beautiful collection of classic images and the detailed story of the development of movie still photography. If you’re a movie buff or photographer you’ll find this look at old Hollywood fascinating.